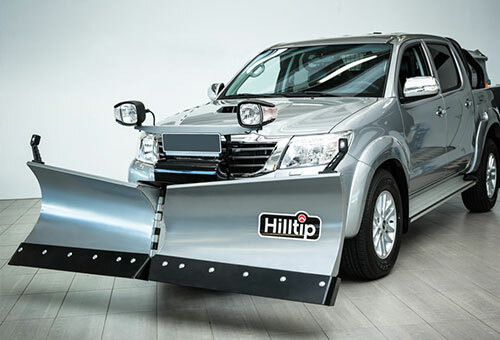 The HillTip V-plow is the first plow of its kind built in Europe. 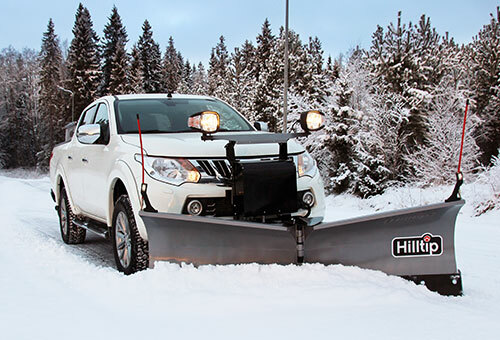 The HillTip Quick Hitch mounts makes this easy on-and-off snowplow compatible with most pickups and SUVs on the market. 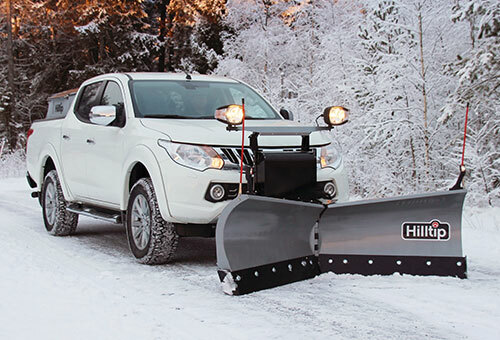 The curved, powder-coated snow blade is made of high-strength steel, which in this case is the key to our durable but light snow plow. 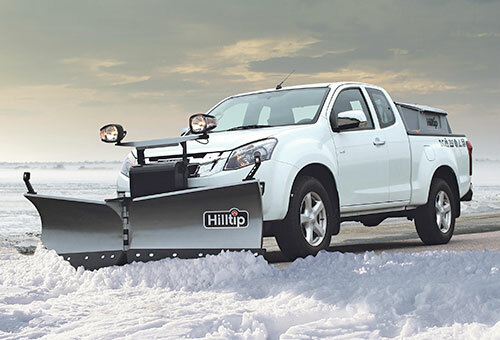 The cutting edge is adjustable and the trip edge is in two segments, giving the best snow plow protection on the market. 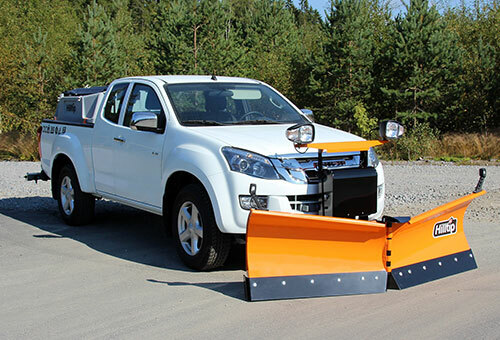 The cutting edges are available in polyurethane or high-strength steel. In Finland we have snow for 6 months out of the year. 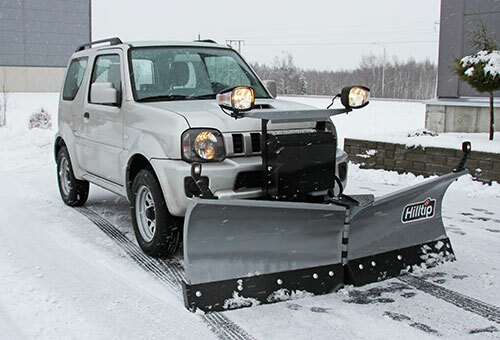 We truly know snow removal technology! Down pressure function presses the plow down for a cleaner scrape. Light tower with LED headlights. 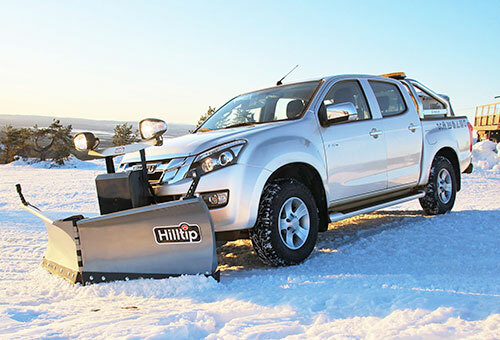 Hilltip Quick Hitch mounting system – fast and easy plow-attachment to car, with all-in-one electrical plug. High performance 12V power unit inside enclosed housing.